There's just a week to go now until the fifth annual British Poker Awards at the Hippodrome Casino and organisers Bluff Europe are delighted to announce that social poker platform RankingHero.com has been confirmed as the bar sponsor. Attendees will be able to share a tipple with the great and the good of the British poker scene before settling in to enjoy a fabulous awards ceremony honouring the standout names and performances in British poker in 2014. 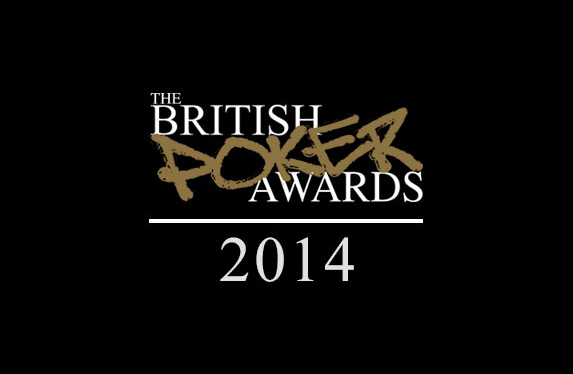 "RankingHero.com is proud to be a sponsor of the British Poker Awards. It's the best occasion of the year to celebrate the achievements, on and off the table, of the heroes in our industry" said Nicolas Levi, RankingHero.com Chief Commercial Officer. "Drink in moderation, we're paying!" added Levi. Sponsored by leading poker site Unibet and held in cooperation with PokerNews, PokerStrategy, CalvinAyre.com, RankingHero.com, Lyceum Media and Casino Life Magazine, the British Poker Awards will take place on February 23rd at the famous Hippodrome Casino in London. A limited number of tickets remain available to the public from www.hippodromecasino.com. "The British Poker Awards is all about celebrating the biggest names in the game and giving them a great night to reflect on a great year, and this makes RankingHero.com the perfect partner for our bar," added Michael Caselli, Bluff Europe Editor-in-Chief. "We can't wait for the awards, and are looking forward to welcoming everyone along on February 23rd." Tickets for the British Poker Awards will be available from the Hippodrome Casino website until the day before the ceremony, and all attendees will be able to enjoy a welcome drink courtesy of RankingHero.com.